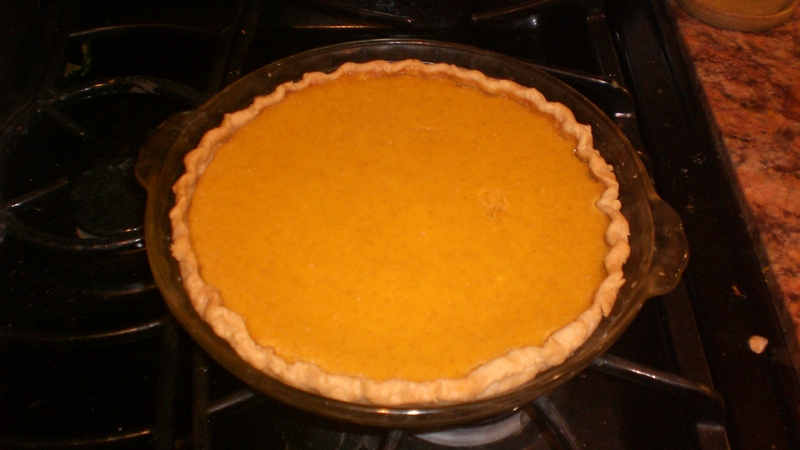 Since I have an insane amount of pumpkin purée filling my freezer, I’ve started in on the pie making! I decided to try a new recipe, since I wasn’t that happy w/the one I had been using. I just Googled “pumpkin pie recipe,” and came across one from Paula Deen‘s site. I have so much confidence that this one will work out, especially since it uses cream cheese, half-n-half, and loads of sugar. How could it not, really?! Anyway, I made a crust, rather than buying one- I’m still really happy w/the addition of butter into my old pie recipe, it’s so good! I’ll be back when it’s ready! 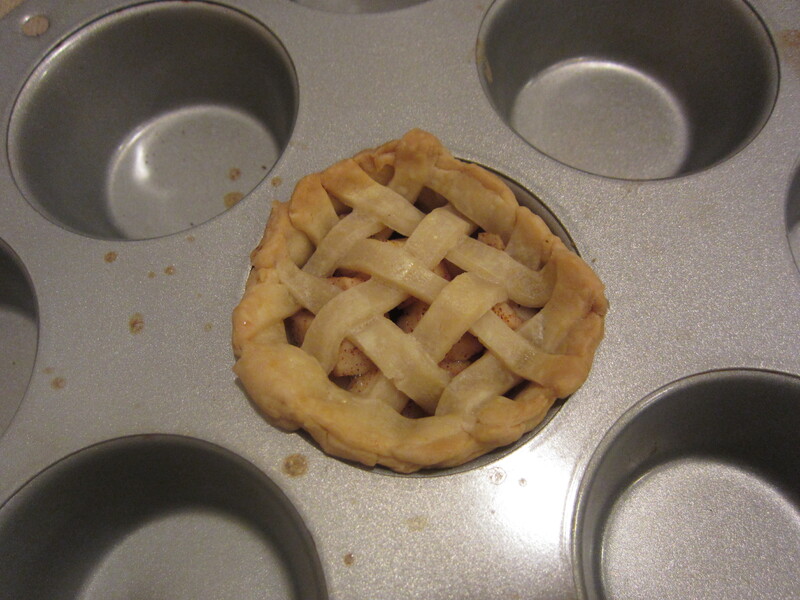 Just took it out of the oven, and…it looks great! 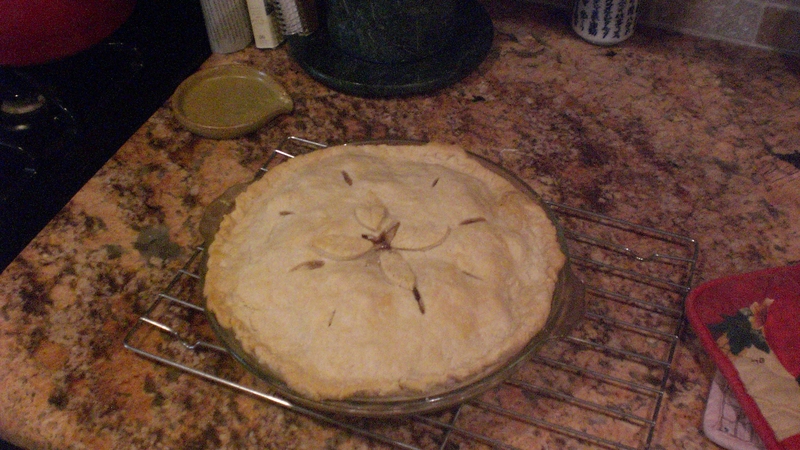 Also- the house smells really good, which is always nice. I stuck a butter knife into the center of the pie, just to see if it seemed done- needed about 5 more minutes, bc there was a lot of sticking, but after that…perfect! Can’t wait to try it- I’ll have more of a verdict after the taste test, but so far, seems great! 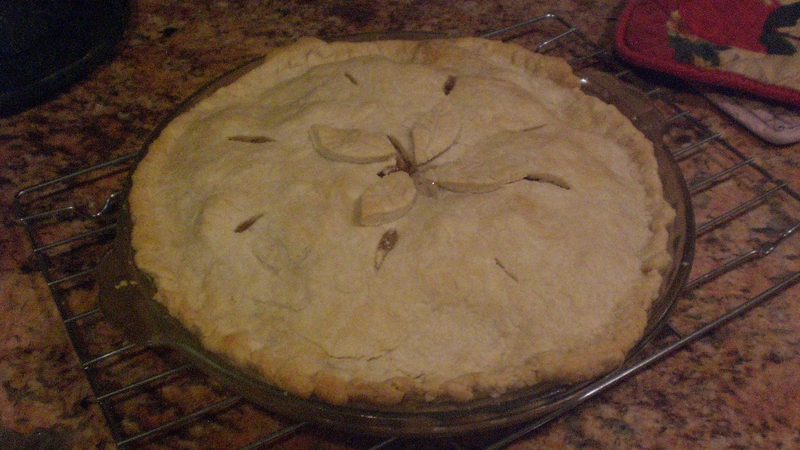 I have to say that, despite its yummy appearance, that I am not a huge fan of this pie! It’s just…ugh, it’s like a pumpkin pie for people that don’t like pumpkin pie! I mean, there aren’t really any of the traditional pumpkin-pie flavors in it, and those are the ones I love- flavors like cloves and allspice. But, this has been pretty helpful- I think the next time I make pumpkin pie, I’ll merge the two recipes. For instance, I think I might use the half-n-half instead of regular milk as I had w/the old recipe, and I think I’ll use the 2 cups of pumpkin, instead of the one, as I had before. But, I will definitely use the spices from my old recipe next time! Anyway, I use a recipe from Better Homes and Gardens, from a cookbook that I got as a wedding gift. I tried to look up “apple pie” or “apple pie recipe” on the Better Homes website, but…wow, they need a new site bc it’s sooo confusing! My allegedly-simple search yielded results for all sorts of apple concoctions, none of which was a standard, classic apple pie! Lots of tips on how to improve your pie-making experience, but no actual recipes for a regular ol’ pie! 1. Stir together flour and salt. 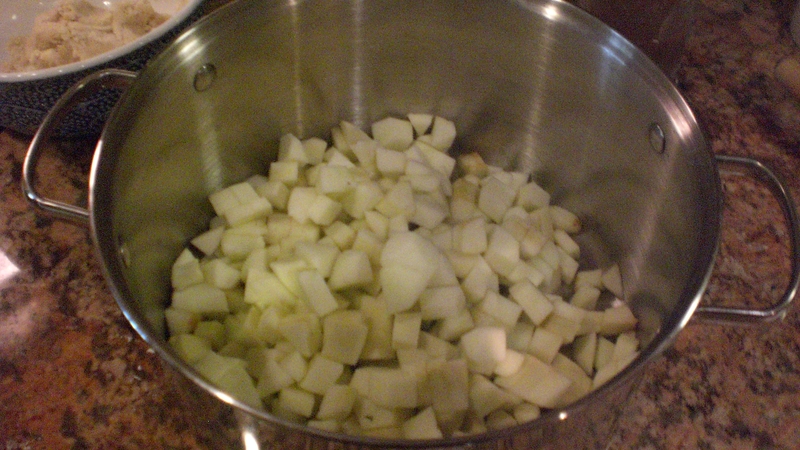 Blend in shortening until pieces are pea-size. 2. Sprinkle 1 T. of the water over part of the mix; gently toss w/fork. 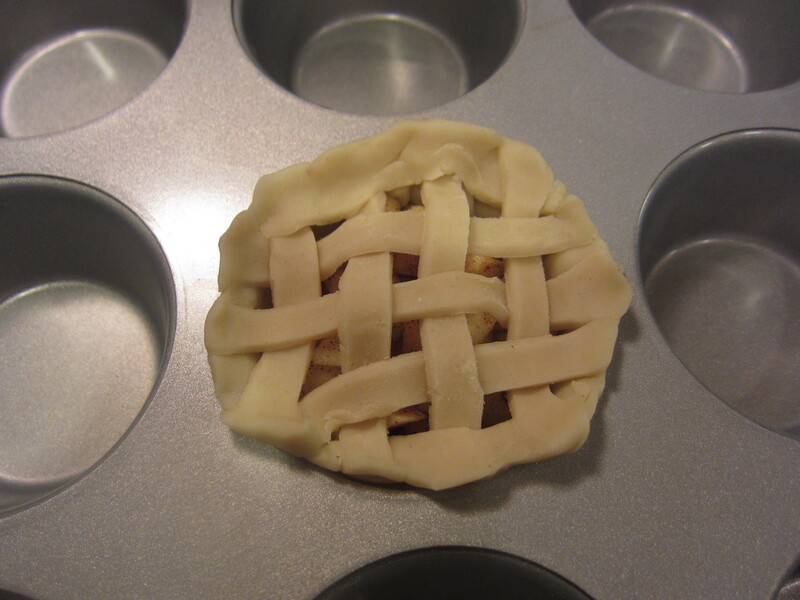 Push moistened dough to the side, and repeat using 1 T. of water at a time, until the dough is moistened. Divide dough in half, and form each half into a ball. 3. 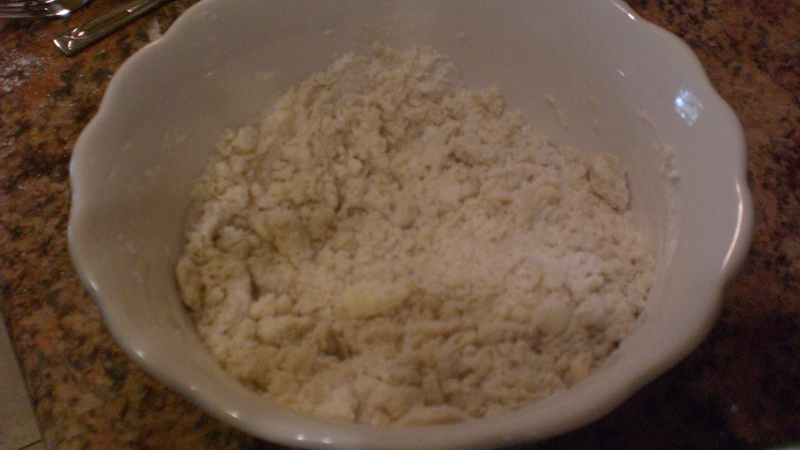 On a lightly-floured surface, flatten 1 dough ball into a 12″ circle. 4. 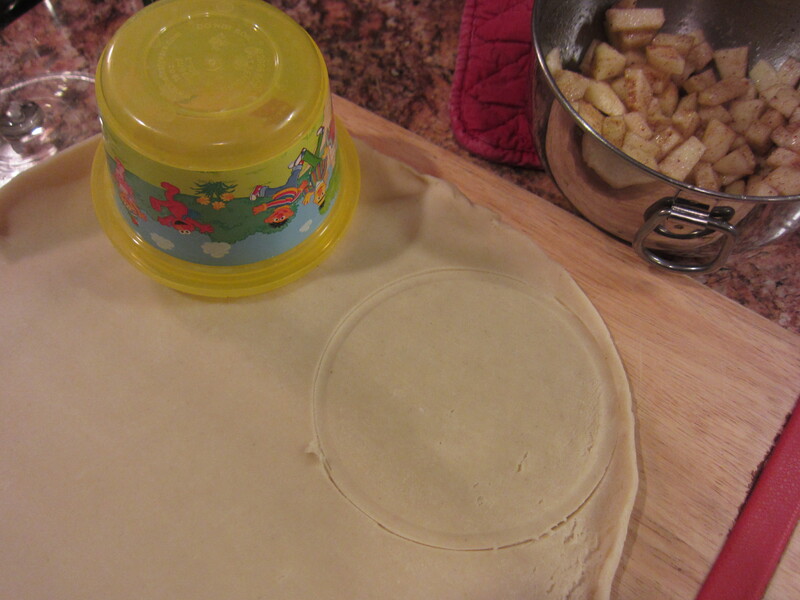 To transfer pastry, wrap it around the rolling pin; unroll into a 9″ pie plate. Add filling. 5. 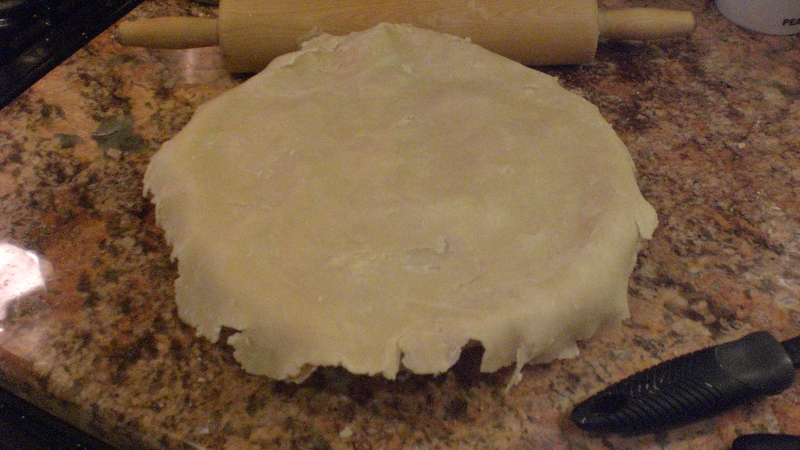 Roll remaining dough into a circle about 12″, as well; cut slits to allow steam to escape. 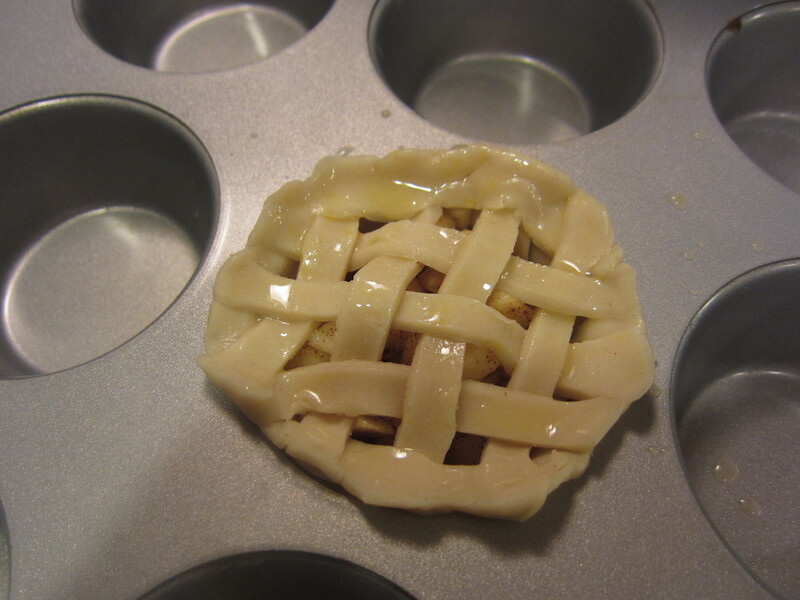 Place remaining pastry over filling. Trim 1⁄2″ beyond the edge of the plate. 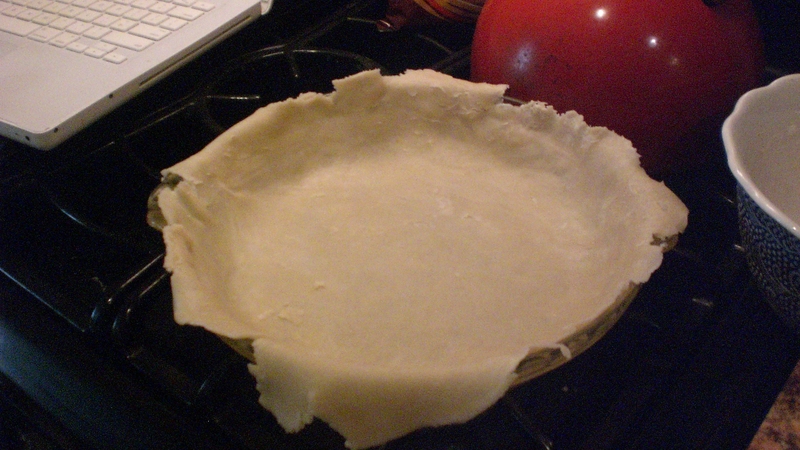 Fold top pastry under bottom pastry; crimp edge as desired. 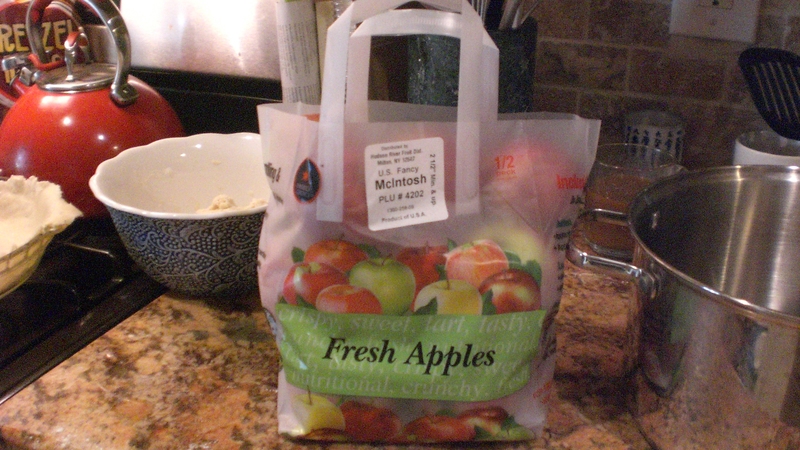 I'm a sucker for these bags! * Preheat oven to 375˚. 1. If desired, sprinkle apples w/lemon juice. 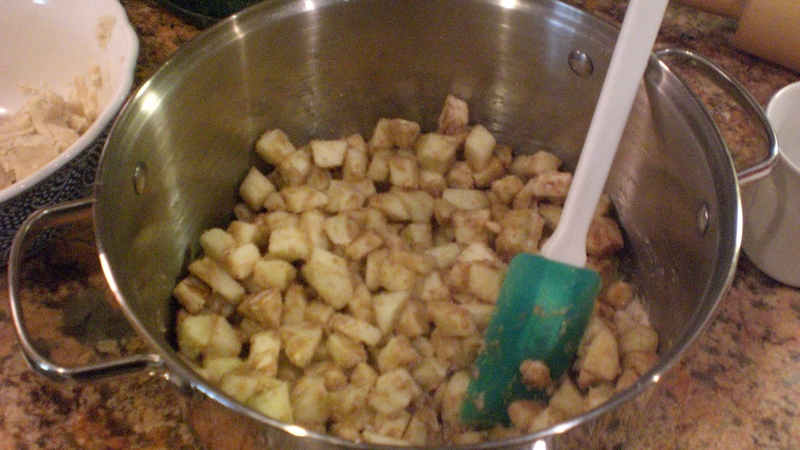 In a large mixing bowl, stir together sugar, flour, cinnamon, and nutmeg. 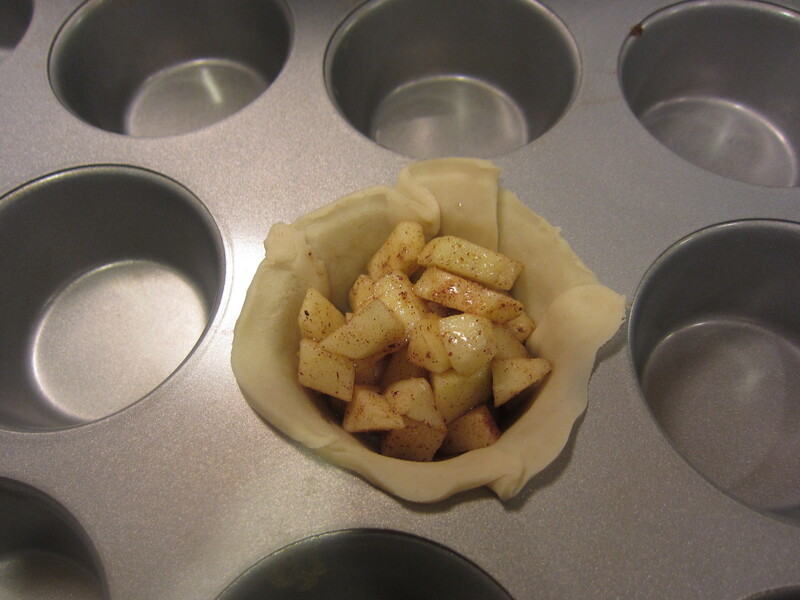 Add apple slices, and gently toss until coated. 2. 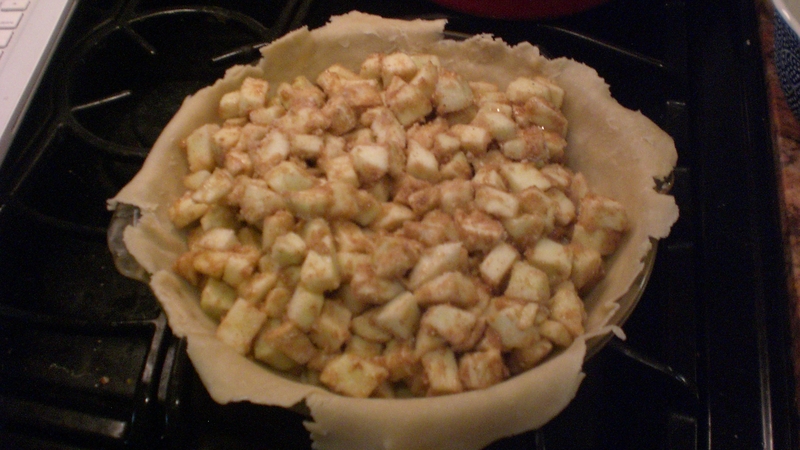 Transfer apple mix to the pastry-lined pan. Trim pastry. 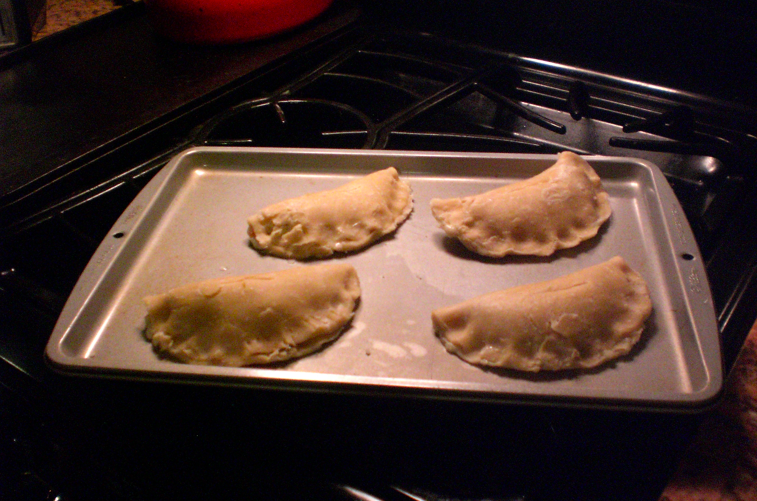 Cut slits in the remaining pastry, and place over filling; seal. Crimp edges as desired. 3. 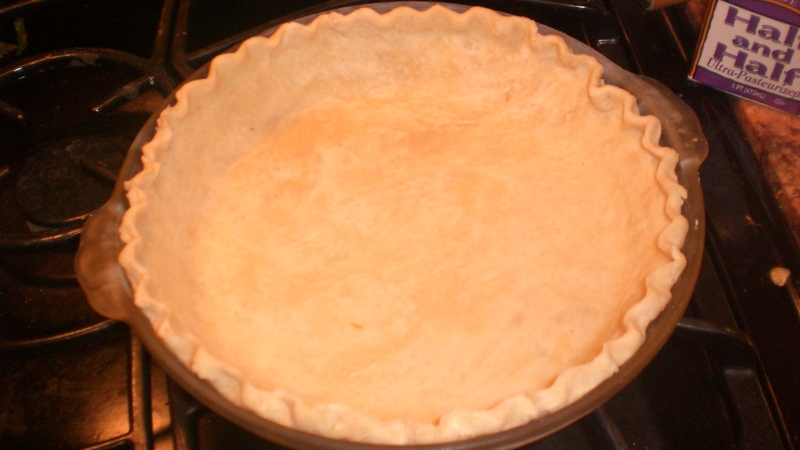 To prevent overbrowning, cover edge of pie w/foil. Bake in a 375-degree oven for 25 minutes. Remove foil. 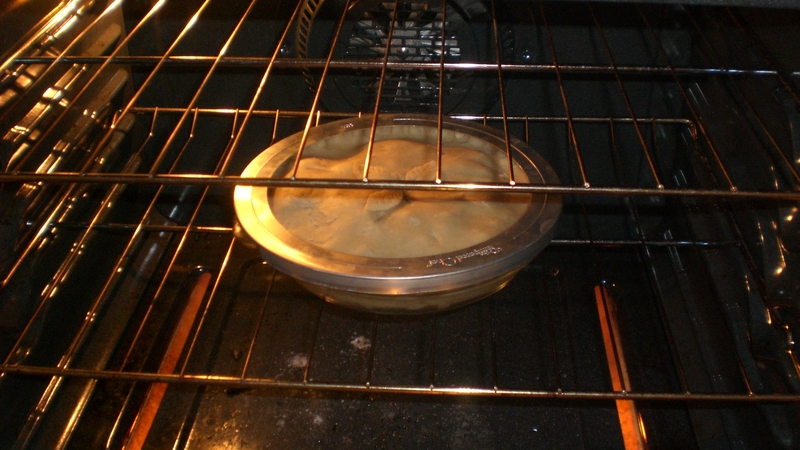 Bake for 25-30 minutes more, or until top is golden. Cool on a wire rack. 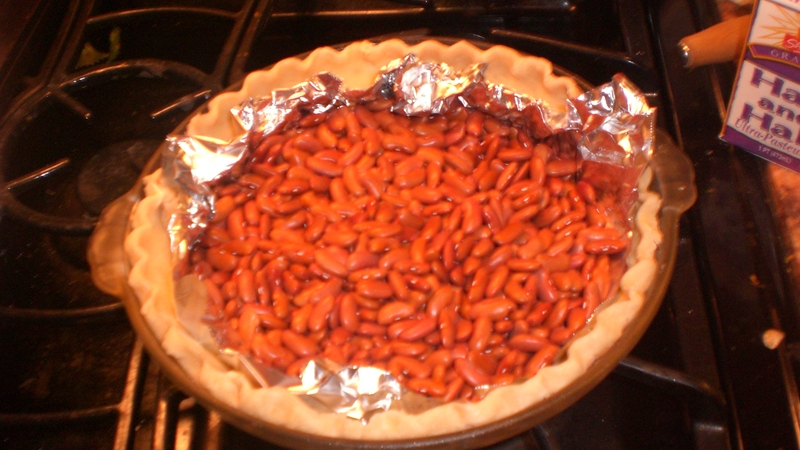 So, the pie’s in the oven, and it looks great! 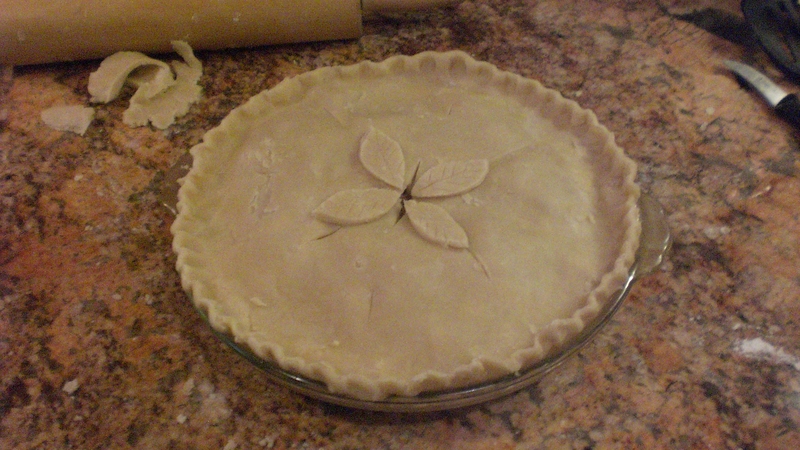 Sometimes I feel like I don’t have enough dough, and it takes a bit to make it work, for the edges to come together, but this time it seemed to work out alright- I even had a teeny bit of dough leftover, and I used it to make little leaves for the top of the pie. 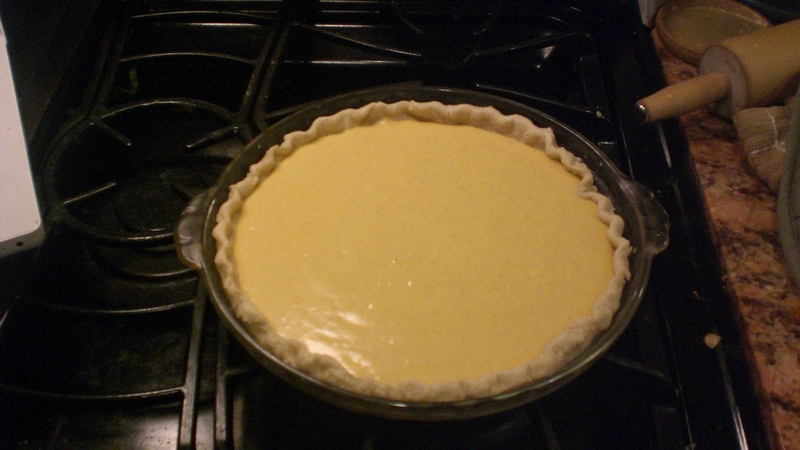 Now, just have to wait for the pie to cook! There’s a bit from Maya Angelou before this recipe, talking about a woman walking through town, selling homemade meat pies to her faithful customers. This really brings back memories of living in the French Quarter in New Orleans- there was a lady who would appear daily, at about lunchtime, pushing a small shopping cart through the Quarter yelling “Pie Lady, Pie Lady.” She sold all sorts of pies, ranging from fruit to meat to even tamale. I bought one of her apple pies once, and it was fantastic- probably because I could taste all the homemade goodness as it was still fresh and warm. 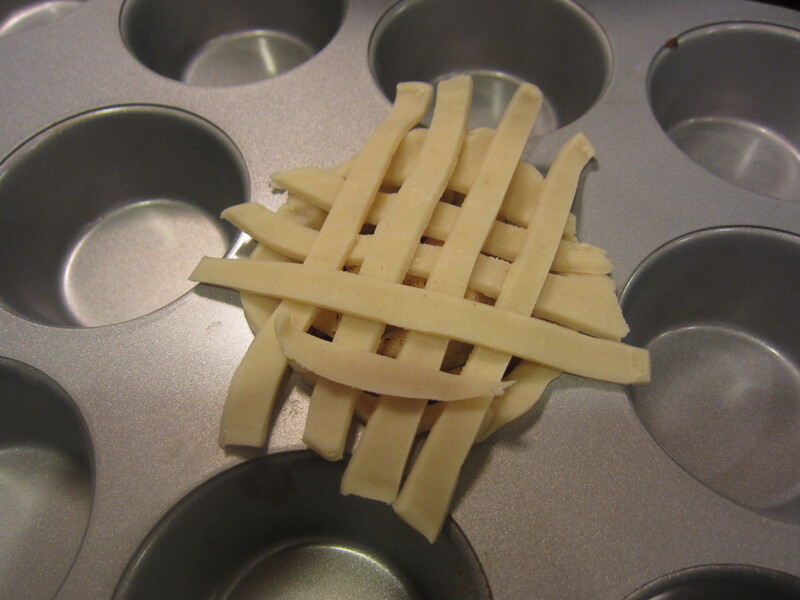 Anyway, I’m going to start working on the pastry part of the recipe while the kids are asleep- keep y’posted! Wow, these were delicious! So bad for us, calorie-wise, but wow, just delicious! 🙂 This definitely goes into the “make-again” stack I’m compiling!